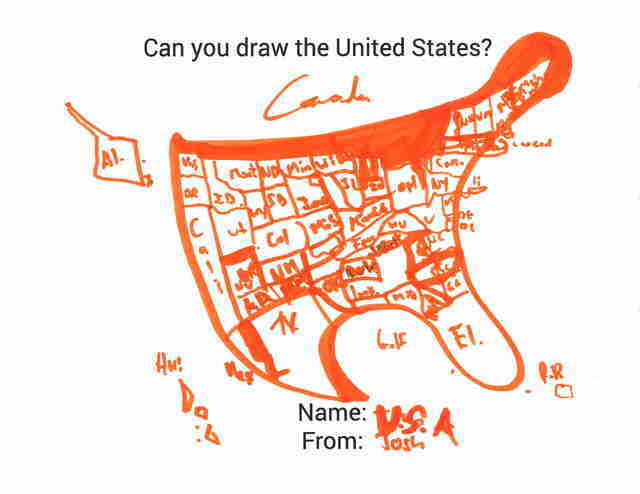 I asked 20 coworkers to draw the United States. Most couldn't. 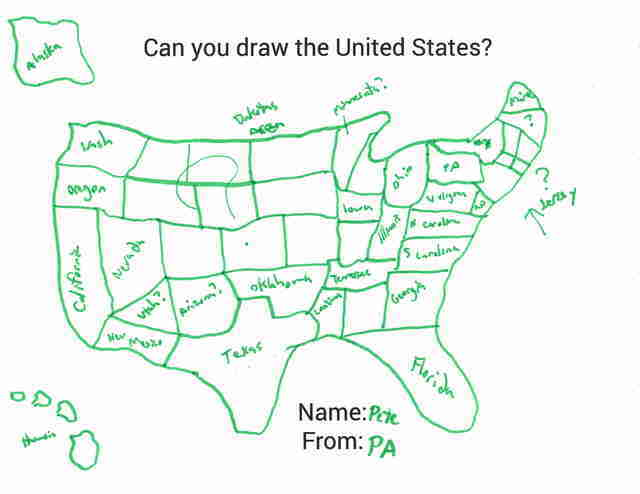 Learning the 50 states was a part of every American student's grade school curriculum; whether or not you thought Alaska and Hawaii were located somewhere just off the California coast, well, that's another matter. 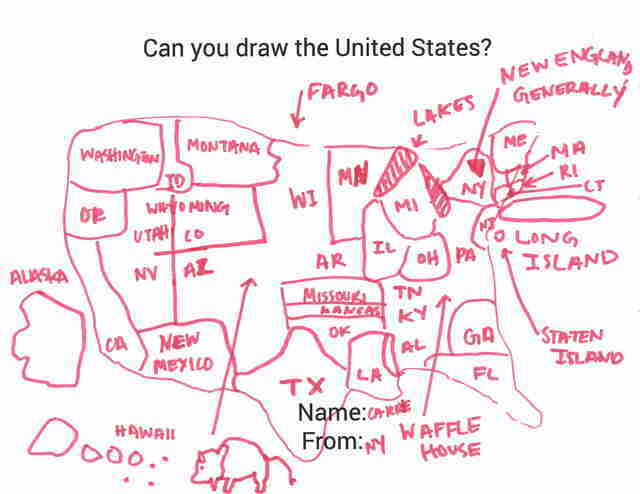 But how much of that geographic knowledge stays with people into adulthood? 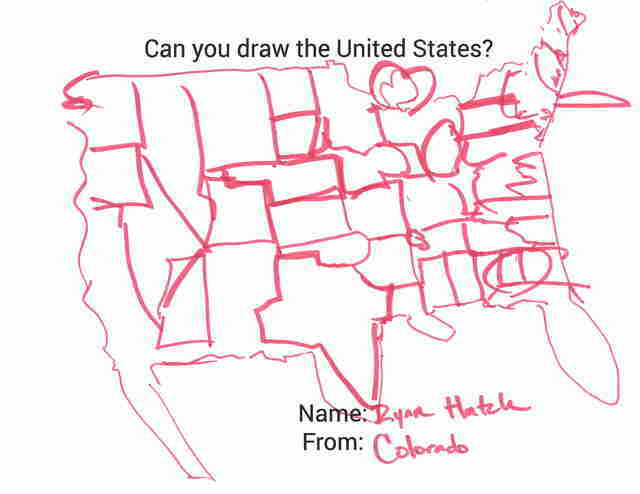 To find out, I asked 20 of my college-educated colleagues at Thrillist to try their hand at drawing the entire country -- all 50 states -- purely from memory. 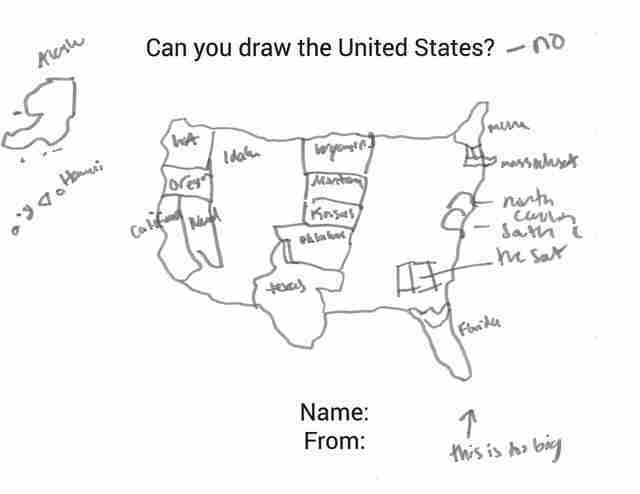 Here's how they did. 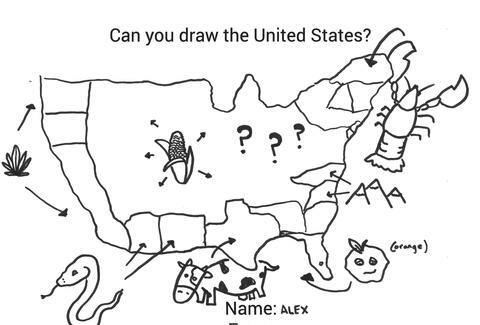 Which states are in the South? 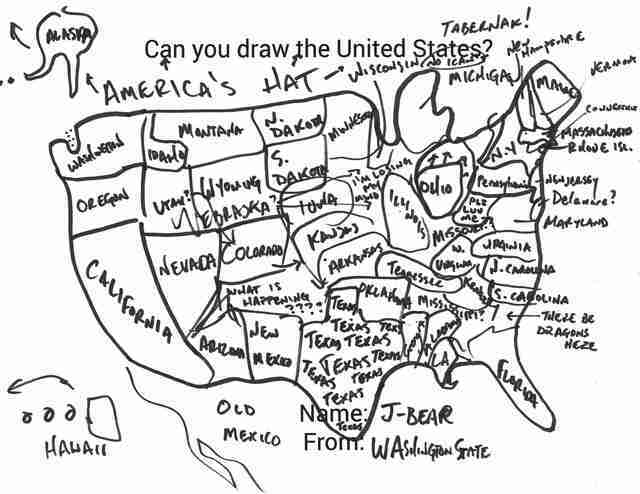 I asked 20 coworkers to find out. 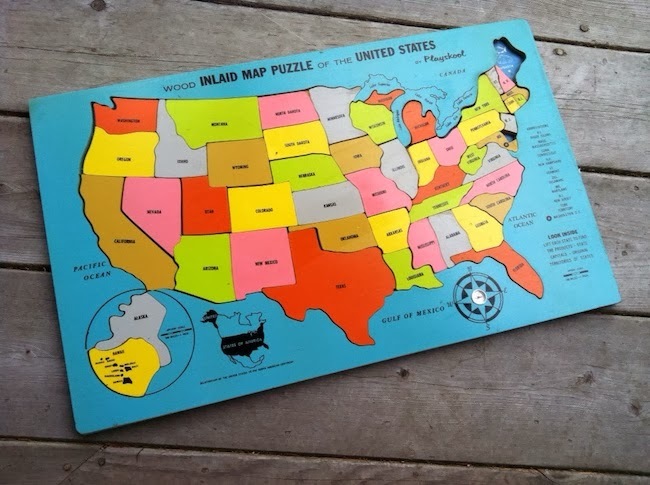 Which states are in the Midwest? 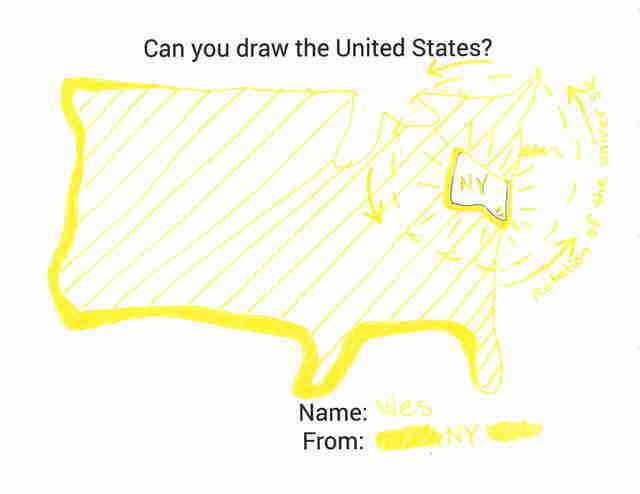 I asked 20 coworkers to find out. 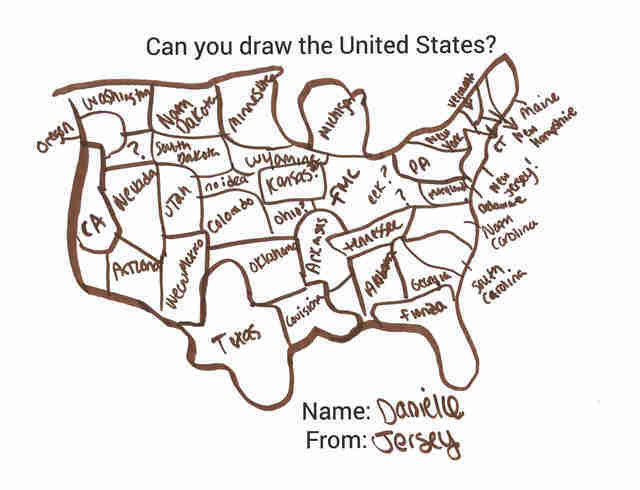 I specifically asked all 20 people to draw the entire country, with as many states as they could remember. Barring a few outliers, pretty much everyone followed my instructions. 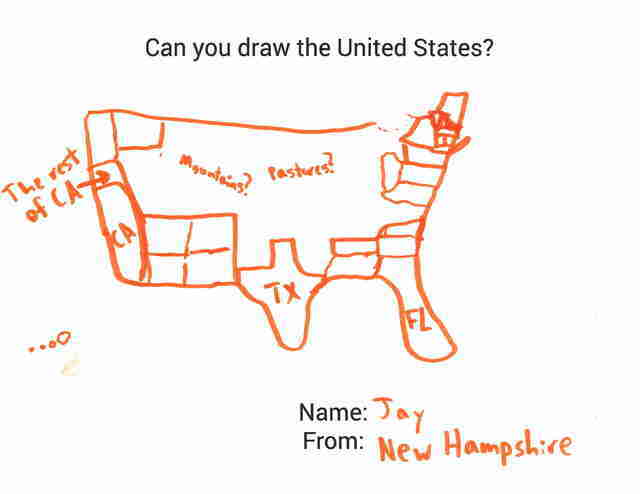 People drew an average of 28 states, with close to half of them forgetting at least one non-continental US state (sorry, Alaska and Hawaii). 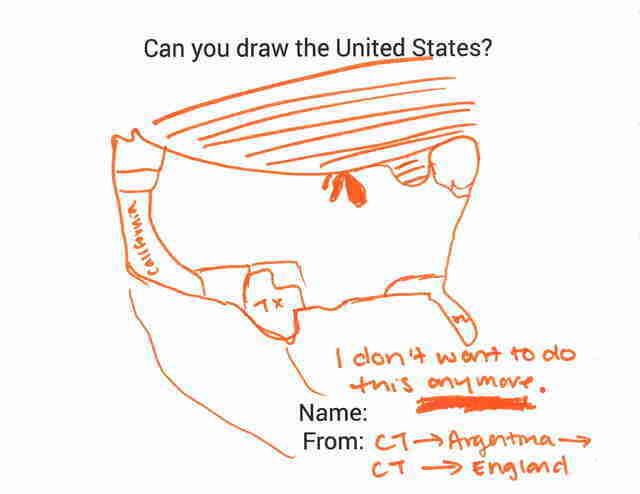 Most approached the task methodically, starting from the outside and working in; four people completely gave up and turned the center of the country into a humongous mega-state, while Alan from Hong Kong managed to come up with seven entirely new states. 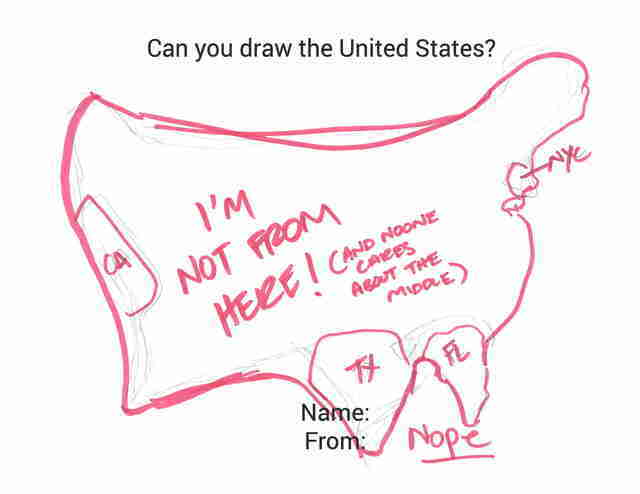 Also, despite having an entire page to work with, several folks shot themselves in the foot from the start by drawing an America far too small to contain all 50 states. 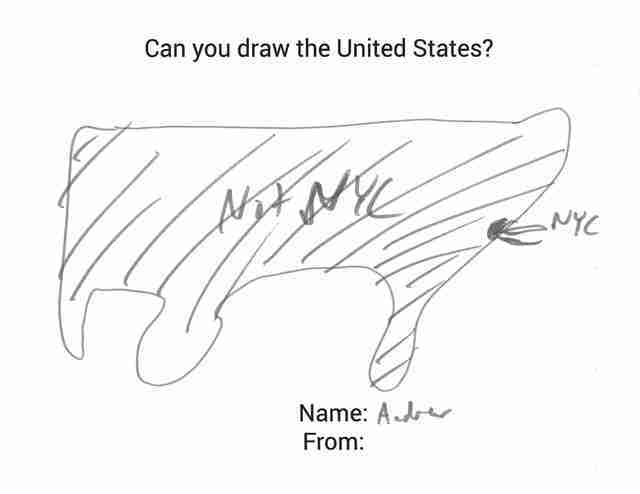 Nobody 100% nailed this thing Al Franken-style, but that's hardly surprising. 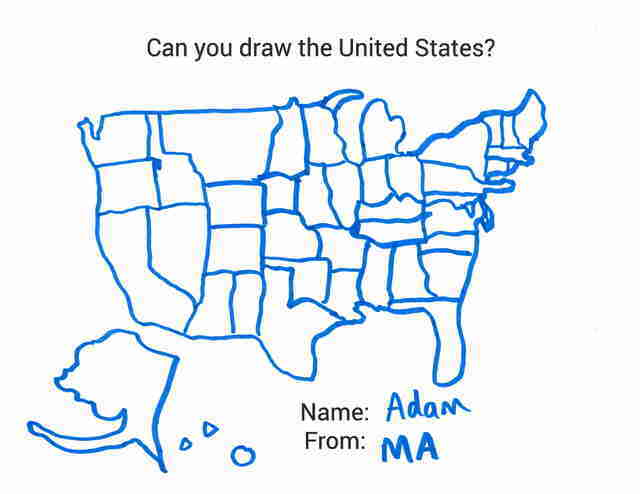 What is surprising is how little cheating there seems to have been, apart from Adam from MA who CLEARLY tried to disguise his dishonesty by throwing in obvious errors (losing all of West Texas, for example). 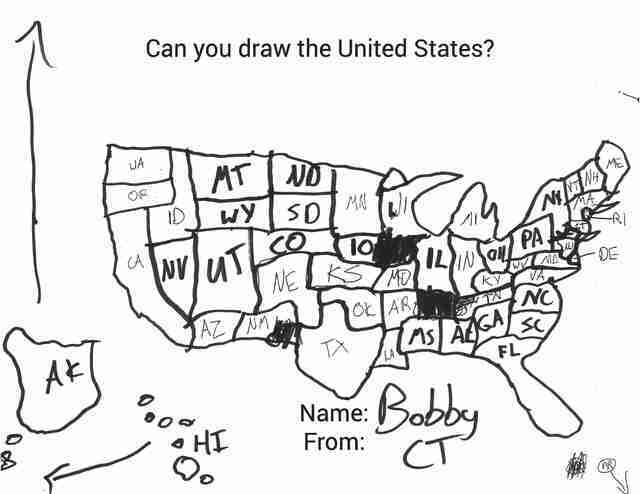 Bobby from CT, for including and labeling all 50 states (and PR!) 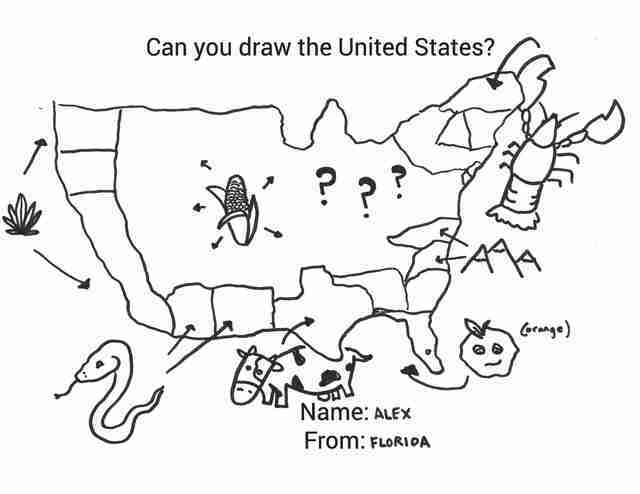 while maintaining the overall shape of the country; Alex from FL, for correctly representing Florida as a sad orange and the entire middle of the country as corn. 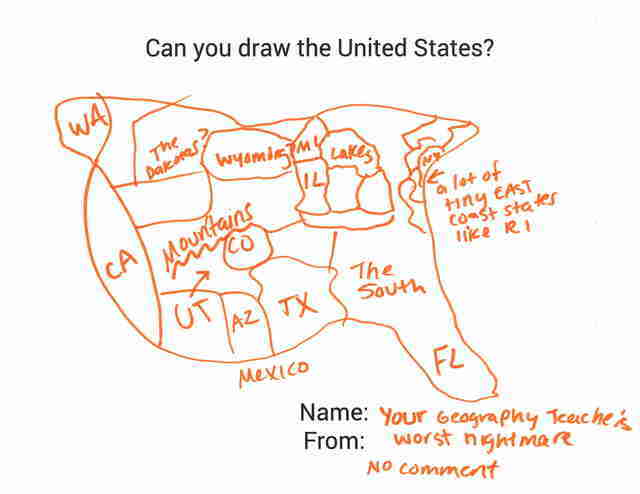 Pretty much everyone's grade school geography teachers. 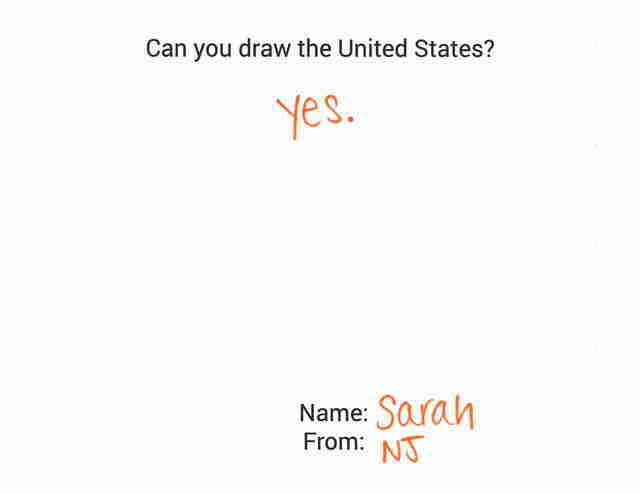 And Sarah from NJ, because nobody likes a smartass. 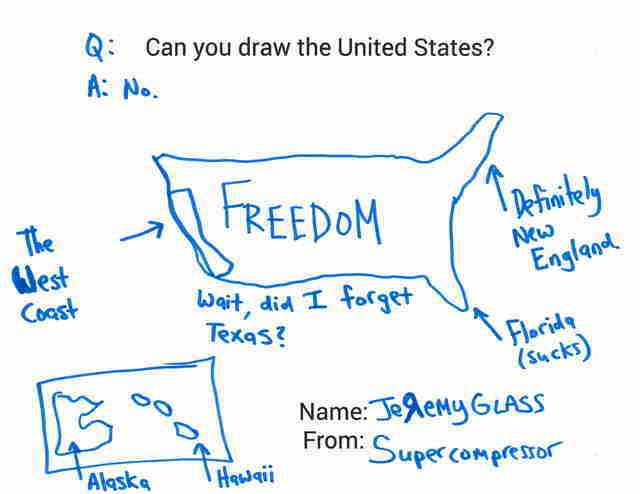 Gianni Jaccoma is an editorial assistant for Thrillist Travel, and freely admits he couldn't do this in a million years. Follow him to the principal's office on Twitter @gjaccoma.